Ski Insurance offer policies designed by skiers and boarders for skiers, and boarders giving you maximum peace of mind on the slopes. Choose from Overseas, Domestic, Annual or Professional travel insurance. Planning to ski or snowboard around the world? Our overseas polices will cover you wherever you want to go. Sking in New Zealand and Japan, Skiing in Canada and the USA, we’ve got policies to cover you. Click here for more on Overseas Trip cover. Click here for more on Domestic Trip cover. Do you take off more than once a year for an overseas snow adventure? Perhaps you’re heading to Japan in November, Switzerland in February and New Zealand in August. Ski Insurance offer an annual multi-trip policy that will cover journeys over a 12 month period and each individual trip can be up to 21 days. Click here for more on Annual Multi Trip cover. 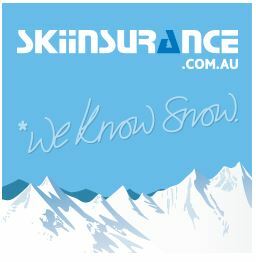 Ski Insurance are the only insurance company that provides protection for competitive skiing & snowboarding for Australians overseas. We are proud to insure our winter sports hero’s whilst they bring home the gold, silver and bronze to Australia. Click here for more on Professional Ski Trip cover.